An assembly is a company of baptized believers (Acts 2:41), gathered unto the name of the Lord Jesus Christ (Matthew 18:20; 1 Corinthians 1:1-9; 5:4), who meet regularly in a particular locality according to the pattern found in the New Testament in (Acts 2:41,42), and developed fully in such Epistles as 1 Corinthians and 1 Timothy. Such an assembly is a spiritual fellowship (1 Corinthians 10:16,17), which is expressed visibly as they meet for the breaking of bread, prayer, col­lective testimony, the teaching of the Word of God and the preaching of the gospel. They have been gathered together by the Holy Spirit (Mark 14:13; Romans 8:14), their sole authority is the Word of God (2 Timothy 3:16,17), and they have the promise of the Lord Jesus Christ to be in their midst (Matthew 18:20). They are a residence of the Holy Spirit on earth, so they are a holy temple unto the Lord (1 Corinthians 3:15,16). Such an assembly is guided by godly overseers and served by faithful deacons in both a temporal and spiritual ministry (1 Timothy 3:1-16). The priesthood of all believers is exercised in worship, praise and prayer, and the gifts, given by the risen Head of the church (Ephesians 4:8-13) have liberty to func­tion under the control of the Holy Spirit (1 Corinthians 14:23-40). There is a clear line of demarcation between the within and the without of an assembly and purity is maintained by a careful, compassionate and godly exercise of discipline (1 Corinthians 5:1-13). This is a carefully written statement, but the reader should examine each passage of Scriptures in the references and learn from the Word of God the truth of an assembly gathering. 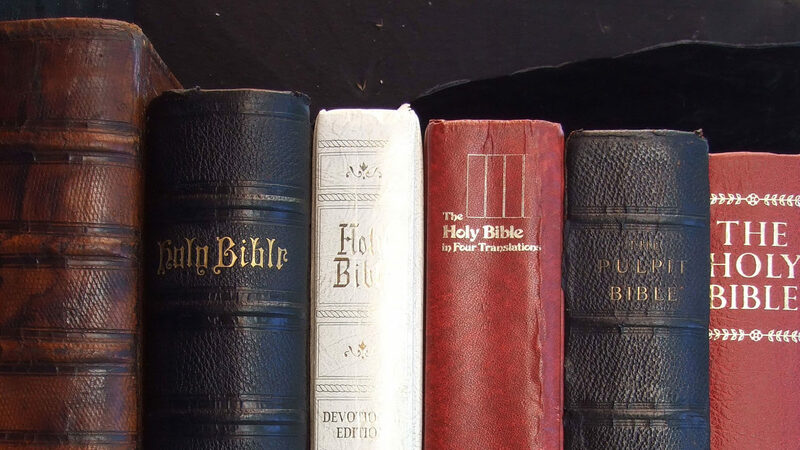 Our statements are only valuable in the de­gree that they teach Holy Scripture. It is only the Word of God that has author­ity in the realm of testimony for God. There are varying degrees of conformity to the Word of God in the lives of believers and in the order and practices of companies of saints. The following are some principles that are unique to a New Testament assembly. 12 UNIQUE THINGS ABOUT AN ASSEMBLY. 1. The entity, uniqueness and autonomy of the local church in distinction from the body. It has a within and without and is made up of a number of believers who are known to each other and to elders because they regularly meet (1 Corinthians 5:12,13; Acts 2:41, 42; 1 Corinthians 1:1-9; 3:9-17; 2 Corinthians 6:16). 2. The uniqueness of the name of the Lord Jesus; and the exclusion of every other name in which an assembly gathers. Second names are a denial that His name is above every other name (Matthew 18:15-20; 1 Corinthians 1:1-2, 10; 5:4; Philippians 2:9-11). 3. Local government by the Word of God under a plurality of elders, raised up by the Holy Spirit. An assembly is a Theocracy where God rules, not a democracy with majority rule (Acts 20:28; 1 Timothy 3:1-7; Titus 1:6-9). 4. The practice of NT priesthood (Romans 12:1-8; 1 Corinthians 14:26-39; 1 Peter 2:5). 5. The recognition of spiritual gifts and liberty for their function. One-man ministry and all men ministry denied. There must be a gifted ministry under the control of the Holy Spirit (Romans 12:6-8; 1 Corinthians 12:1-11; 28-31; Ephesians 4:8-16). 6. The priority of spiritual worship (Luke 22:14-20; John 4:19-26; 1 Corinthians 11:23-34). The breaking bread is given priority because it is a meeting for col­lective worship and is observed on the first day of every week. 7. The authority of the Word of God alone without creedal statements, organizational rules or councils, even though we do believe in the accuracy of the historic creedal statements (Acts 20:32; 2 Timothy 3:16, 17). 8. A spiritual, not organizational link between assemblies. Autonomy fails to express the truth of God?s rule. An assembly is only answerable to God, yet interdependent with other assemblies (Acts 11:22-26; Acts 14:23-28). 9. The Silence of women in audible prayer, testimony or assembly teach­ing and preaching (1 Corinthians 14:34; 1 Timothy 2:8-15). Teaching a Sunday School class does not violate this principle. It is not an assembly meeting. 10. No financial support from unbelievers (3 John 5-8; Proverbs 15:8;21:27). 11. The dependence on the presidency of the Holy Spirit in salvation and service (John 1:12-13; 3:5-8; 1 Corinthians 2:2-5; 2:13-16; 2 Corinthians 4:3-6). 12. Internal discipline and excommunication when Scripture demands it (1 Corinthians 5:9-13; 1 Timothy 1:18-20). Many of the practices outlined above are unique to assemblies. Some companies conform in part to some of these truths, but all of these are identifying marks of a New Testament assembly. Quoted from “Gathering Unto His Name” by Norman Crawford. We dress up! Ladies wearing skirts or dresses and men in suits. Don’t let this frighten you away, however. Feel free to come as you are and you will be warmly welcomed. For a description of what each of the services are like, visit our FAQ page. great points altogether, you simply received a new reader. What would you suggest in regards to your publish that you simply made some days ago? Any positive? Annual Bible Conference this month!